We are welcoming one of the newest members to One Twenty For Hair! Berenice Gonzalez recently moved from Texas originally from Mexico and has been a stylist for over 9 years! Berenice specializes in precise haircutting, styling, and coloring. Additionally, she delivers the latest techniques for shaping hair while employing a stylish vision! Follow her on instagram @hairbybere898 for examples on her work. 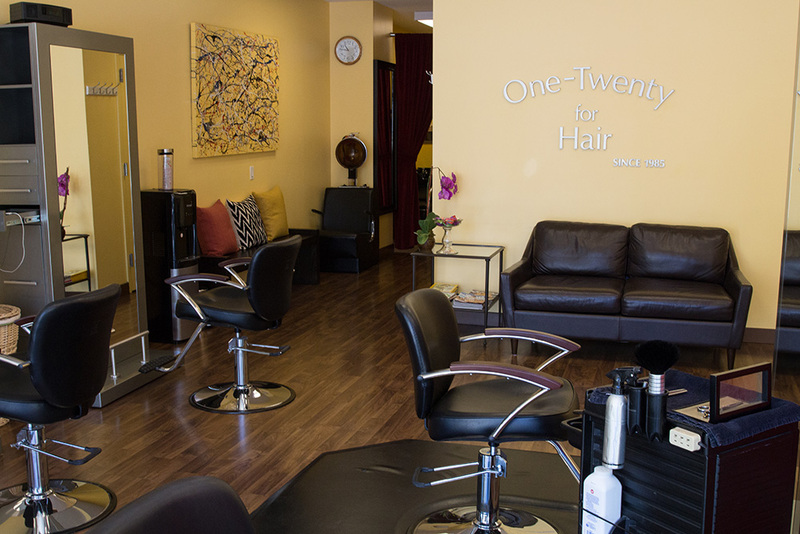 One Twenty for Hair moved from it's Howard Street location in 2012 to it's new location on 155 Main Street, in the heart of San Francisco's financial district. Come by the salon during your work week to relax and enjoy some latin tunes and visit with the shop assistants Luna and Tika . Walk-ins welcome but appointments politely preferred. You can now make appointments here online.